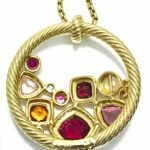 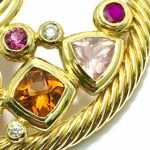 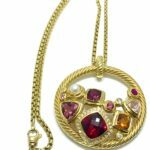 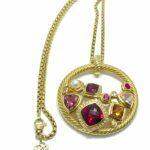 A gorgeous David Yurman Mosaic Diamond and multi gemstone 18 karat yellow gold pendant and chain. 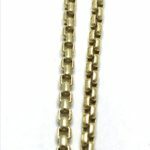 The pendant contains 31 round brilliant Diamonds, with a total weight of 0.53 carats. 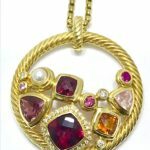 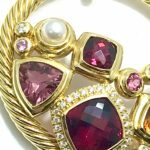 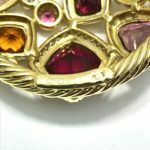 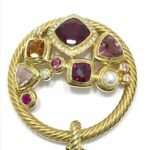 All of the gemstones are bezel set, consisting of Rubelite Tourmaline, Pink tourmaline, Rose Quartz, Ruby, and Citrine. 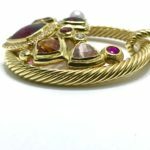 This is a great statement piece for any David Yurman collector. 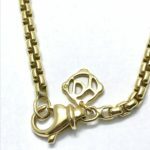 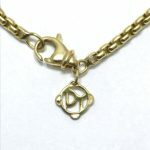 The necklace and pendant are both signed “DY” and hallmarked “750”.